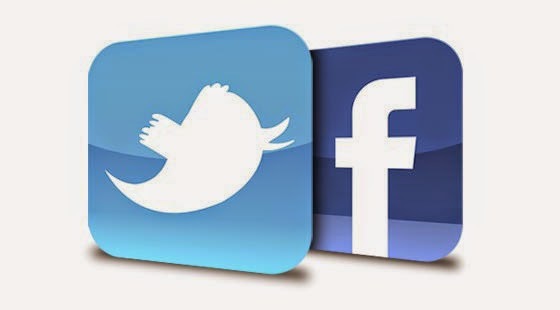 The “Call:” Promote Your Funeral Home on Facebook & Twitter Right From the Arrangement Room! When Mobits was started about 18 months ago, we got a great piece of advice from Wally Williams, a funeral director in Detroit. And in that vein, Mobits makes it easy for funeral directors to market their funeral home on Facebook and Twitter, right from the arrangement room! When your funeral home signs on with Mobits, we give you a mobile-app for your funeral home and a cool little tool called the “MCard” – Mobits Card for short. We show you how to save the MCard (and your mobile-app) on your mobile phone as an icon and on any of your employee’s mobile phones. When you’re in the arrangement room with a family, you let them know that as a part of your service, you make it less stressful for them to notify everyone of the death by making it very easy and fast to post the obituary on their Facebook and Twitter pages and by texting the obituary information to people. To demonstrate this, the funeral director takes out their smartphone, taps the MCard icon, and asks the family members for their cell phone numbers and enters the numbers in the MCard. Within seconds, the family member’s cell phones will get a text message welcoming them to the funeral home that also has a link to the funeral home’s mobile app. The family member taps the link and the funeral home app opens on their phone. At the bottom of the screen, there are icons for Facebook, Twitter, Email, Google+ and LinkedIn. The funeral director asks the family to tap the Facebook icon. Once a family member does that, the funeral director asks them to tap the “Share” button at the top of the Facebook page. That posts the funeral home’s mobile-app on the family member’s Facebook page! And ask them to “Like” the page too since they are already there. The funeral director then tells them that they can have a mobile app ready the next day for their deceased loved one and everyone can post that to their social media pages and a text message to forward the deceased’s mobile app to everyone. In this process, you have just created “Likes” for your Facebook page and got your Facebook page posted on other’s Facebook pages, and you never even left the arrangement room! In order for the business of Mobits to be successful, we must benefit both the family and the director. The benefit for the family is Mobits reduce the stress of death notification and gives them a way to use their smartphones to memorialize their loved one. So, not only is their loved in their heart, their loved one is in their phone. And with smartphones phones being so highly valued by their owners, interring loved ones in phones is an appreciated option not previously available. Up-sell a Multimedia Obituary package. Mobits, combined with a basic death notice in the newspaper, can be packaged and sold at a premium to families. Mobits make it easy for families to notify everyone of a death with text messaging, Facebook, Twitter and email. With Mobits, death information can be shared with just a few taps on a mobilephone. There is no easier way. Cut out newspaper obituaries entirely and replace them with Mobits. Since newspapers don’t cut funeral directors in, funeral directors should cut newspapers out. Sell a Mobits instead, upcharge it and give families superior service over newspapers. Ask your families do they still have the newspaper delivered to their homes. If they don’t, that’s an opportunity to sell a Mobits. Up-sell funeral programs on smartphones. The funeral program can be loaded on Mobits and can be viewed from smartphones and printed from smartphones. Families can tell everyone if they want funeral program of their loved one, they can print one from their smartphone. Embed your brand, your funeral home, in your community. Each smartphone that attends a funeral that you provide is a potential billboard for your funeral home. If you had billboards all around town, do you think you would get more first calls? If you think so, then Mobits can be your all around town billboards. Mobits is a new revenue source for funeral directors! Here at Mobits we are big on “Actionable Intelligence” meaning we only like to give you stats when we can actually show you how to take advantage of them. Here’s a great stat: 80% of all Facebookers use their smartphones to access their Facebook account. And here’s how funeral directors can take advantage of this: Tell your families that your funeral home makes it extremely easy for everyone to post the arrangements information on their Facebook pages. All the family member has to do is open the Mobits on their smartphone, tap the Facebook icon, logon onto Facebook and tap “Share” in the top right corner, or write something and then tap “Share” in the top right corner. The Mobits is immediately posted on their Facebook page! Note the image of the mobilephone screen. This is what your families will see after they log into their Facebook page from the Mobits. The Mobits cost $49 (Price goes to $59 August 8 for all new funeral homes), add in the cost of the basic newspaper death notice in your area and then add your premium (profit) to the price to your families. It’s much more important for families to post the arrangement information on THEIR Facebook pages, not on YOUR FUNERAL HOME Facebook page. 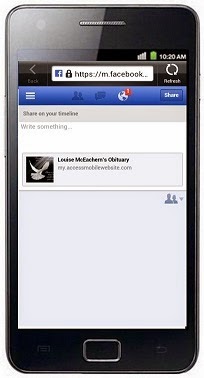 You too, can easily post all of your obituaries on your Facebook page (just like family members, view the Mobits from your smartphone, tap the Facebook icon, sign onto your funeral home’s Facebook page and then tap “Share” or write something brief and tap “Share”). The Multimedia Obituary package is a higher level of service to your families and can get you more first calls. 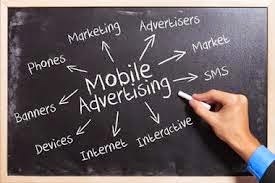 Mobilephones, by far, are now the best way to market businesses. The reason is simple: everyone has one and everyone keeps their mobilephone nearby. It’s today’s Yellowpages, 411, billboard, TV and newspaper. Most funeral directors know this, what they don’t know is how to take advantage of mobilephones to get more first calls. 1. QR Code (image). This image should be placed in all of your marketing, particularly in your printed materials. 2. Keyword ("Mobit"). This too, should be included in all your marketing. Basically, you put the following somewhere in your printed marketing (funeral programs, church fans, calendars, etc...): "For more info, text Mobit to 72727 or scan this box." This should go somewhere near your website address and/or contact info. 3. Arrangement room flyer with your logo. Put this in a 8 1/2 by 11 frame and display it in your arrangement room. 4. Flyer with your logo to give to prospective clients. Give this to clients who don't buy right away. Open this link on all computers that are near where you answer the phone. Then bookmark it. Everyday, open this page on your computers and leave it in the background. Then, when people call for general information, tell the caller if they give you their cellphone number, you can text them a link with all of the funeral home's information. This will build you a database of cellphone numbers that you can use later for marketing purposes. 6. MCard (http://my.accessmobilewebsite.com/m/25822/p/162809). I will send you this link via text message. Open it, then add it to your home screen. Then, when you are out and meet people, ask them can you send them your mobile-app. If they say yes, you open the icon on your phone, then enter their mobilephone number and tap submit. They instantly get a text with a link to your mobile and you just added another mobilephone number to your database for future marketing! 7. Order form. Please feel free to make copies. Also, if a funeral director prefers to submit orders online, they can do so by going to www.mobits.org. These tools, IF USED CONSISTENTLY, will really help you build your business. They are very easy to use, you just need to be consistent about it. After you have the chance to review all of this, give me a call and I'll walk you through everything and answer any questions. When a friend and fellow mortician died a decade ago, Teddy Lee received an unusual request. By most measures, the widow said, it was to be a standard Christian service, complete with prayers and promises of life after death. Except for one thing. Would Lee, asked the widow, put on a little show? Lee, who is also a magician, gladly obliged. On the day of the service, he stood in front of the mourners gathered in a Bronx sanctuary, held up a few pages of the New York Daily News, and then tore them methodically into pieces as he told a story of life and death. "God breathes life into your body, and then you go through complications over the last years and last days," he said. "Lawrence's lymphatic system broke down." Rip. "His cardiovascular system broke down." Rip. "His brain broke down." Rip. "He died." Rip. Mortician and magician Teddy Lee. "But the Lord restores his soul," Lee said, paraphrasing Psalm 23:3. "He'll guide him along the right paths." Lee clenched the scraps of paper in one fist. Then, he opened his hand and unfolded that same newspaper restored to its original pristine form. It was "Torn and Restored," a classic beginner's magic trick done in countless talent shows and festivals -- repurposed for death. 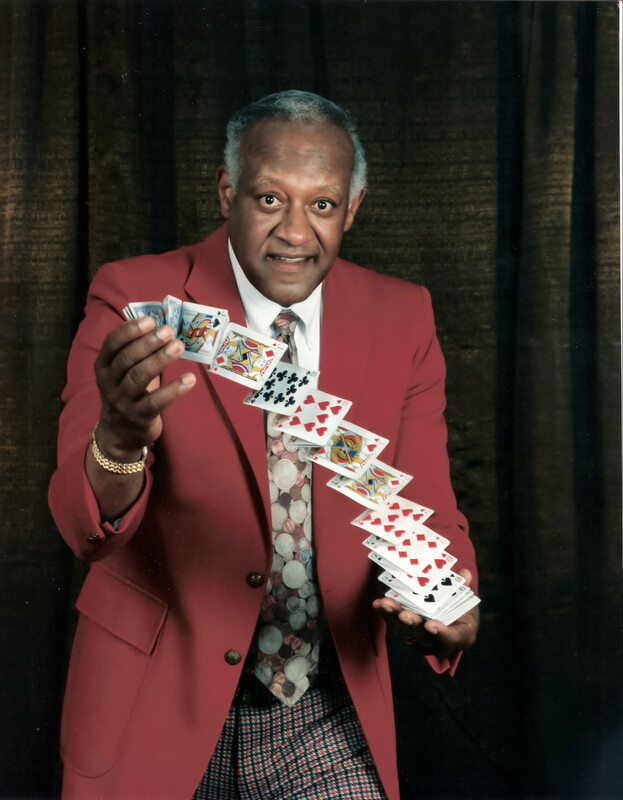 "Sometimes I'm asked to do both [magic and funerals] at once," said Lee, 76, a licensed funeral director from White Plains, New York. "People have come to know both sides of me, so they ask. And I say, why not?" Lee, who long ago claimed the moniker "mortgician" in his AOL email address, wouldn't call himself a pioneer or part of any special movement in after-death care. But he's among many who are turning the idea of the solemn, sedate funeral on its head. 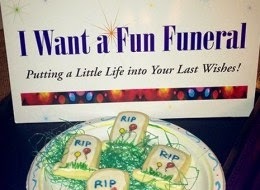 Call it the rise of the personalized "fun funeral." The wide range of what's considered "creative" or "unusual" when burying a loved one means there are little to no statistics on such practices, but industry experts say redesigning the standard funeral is increasingly popular. For the 2.5 million Americans who die each year, families are "making funeral decisions based on different values than previous generations," said Jessica Koth, a spokeswoman for the National Funeral Directors Association. Cremations are now used in 43 percent of deaths, and environmentally friendly"green funerals" are becoming more common. From customizing the casket to offering surprising music, costumes, themes and performances at the service, families are "seeking experiences that are different than those they perceive as part of a 'traditional' funeral," said Koth. 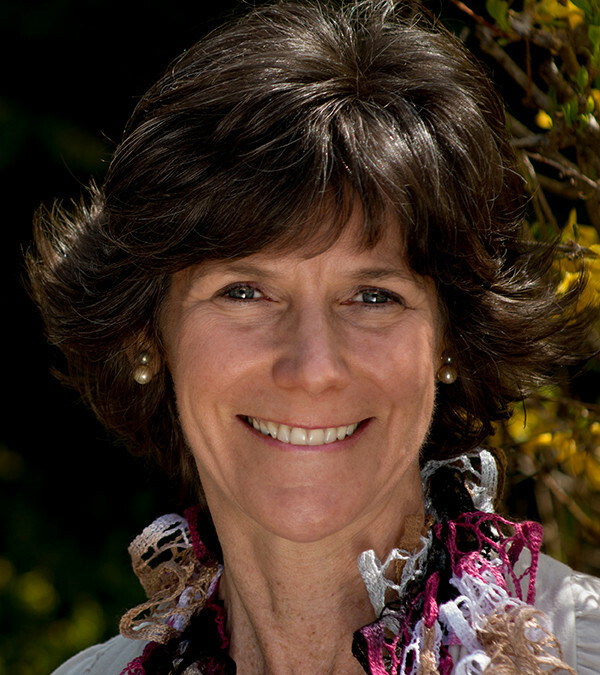 Cultural, religious and political upheaval in the U.S. in the 1960s and 1970s led to more diverse views about death, noted Gary Laderman, a professor of religious studies at Emory University and author of Rest in Peace: A Cultural History of Death and the Funeral Home in Twentieth-Century America. And, as those in the baby boomer generation age, that has led to more recent changes in how people imagine their funerals. For those who don't want the same old ceremony, there are others, like Lee, ready to help. Last September, Kyle Tevlin, a part-time graphic designer, launched "I Want a Fun Funeral." The 45-minute workshops she hosts at churches and community centers around Philadelphia are meant to show people that "funerals don't have to be cold and sterile," said Tevlin. Kyle Tevlin, founder of "I Want a Fun Funeral." The events -- she's held six so far -- typically include a table of homemade tombstone cookies and handouts of "This Is the Awesome Funeral Plan of ...," a 30-page guide she asks attendees to fill out. It covers everything from how their body should be handled after death (buried, cremated or perhaps do-it-yourself "home funeral"?) and whether clergy should take part, to the kind of music, decorations and dress code they want. "The lights are dimmed, the song '(Don't Fear) The Reaper' by Blue Öyster Cult comes on, and I come out in my Grim Reaper costume. As the song fades, I slowly strip to a 'I Want a Fun Funeral' shirt and a psychedelic-looking fluffy boa," said Tevlin. "I try to go from somberness to excitement." Attendance can be sparse -- sometimes only five or six people have shown up -- but it's growing. Tevlin, 54, said she conceived the idea after going to "quite a few bland funerals." Perhaps the man best-known for creating such personalized funerals is John Beckwith Jr. of Golden Gate Funeral Home in Dallas. Beckwith, whose business was catapulted to national fame on the TLC reality show "Best Funeral Ever," has overseen nearly ever kind of funeral during his 30 years in the field. The more memorable include a space alien-themed ceremony, another in which a casket was pushed down a bowling lane to knock over pins that spelled "R.I.P. JUDY," and one with a chocolate-covered casket for a man who had a big sweet tooth. John Beckwith Jr. in front of a chocolate-covered casket. 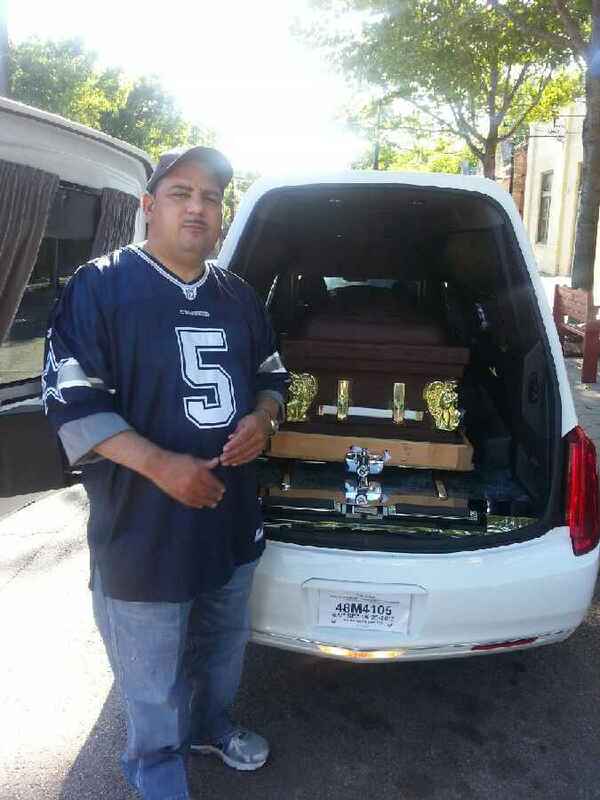 "It's exciting how people are still celebrating life and not just disposing of the deceased. I would hope that it never gets to that point," said Beckwith. "For the African-American community we serve, it all goes back to slavery and the homegoing tradition. When your life was so bad as a slave, you tried to have a celebratory funeral because the ones you loved were going to a better place in heaven and you were guiding them there." But looking at the more unusual ceremonies -- one New Orleans funeral home has recently been in demand for its displays of dead bodies standing up and sitting down, posed as if smoking or drinking -- some who work with the bereaved call for a degree of caution before planning the "funeral to end all funerals." Remember the mourners, they urge. "I feel planning our own service isn't healthy as the funeral needs to meet the needs of the family and grievers," said Jane Bissler, president of the Association for Death Education and Counseling and clinical director at Counseling for Wellness in Kent, Ohio. "The 'stand up, sit down' issue is the strongest death denial that we can have." Lizzy Miles, a hospice volunteer and social worker who has been a leader in theDeath Café movement in the U.S., has a different view. "From a distance, a 'fun' funeral can seem crass to acquaintances. However, if you knew the deceased well, the unique celebration helps you to remember them as they lived," said Miles, who in 2012 began holding Death Cafés -- gatherings in coffee shops to encourage open-ended conversations on the end of life. Moreover, what seems bizarre to some 21st-century Americans might be quite normal to people in other places or other times. The idea of a lively, even boisterous funeral is not entirely new. "If you look across cultures, families and communities have always been trying desperately to make sense of death in different ways," said Bill Hoy, a lecturer in the medical humanities program at Baylor University who wrote Do Funerals Matter? The Purposes and Practices of Death Rituals in Global Perspective. "With these rituals that seem newer to us, for some people it's a way of trying to forestall the pain of something that frankly hurts a lot." Helping the living grieve is part of why we have funerals. "I never thought people would be interested in funeral magic," Lee, the mortgician, said. "But you see all kinds of families and you try your best to help them through the mourning. A little fun, a little trick can make a big difference." Do you agree? Either way, we still would like to get your feelings on this subject. Click or tap The “Call” to go to our blog and post your comments! For a demo, text the term “Mobits” to the phone number 72727. Our contacts: phone, 786-763-1875, website, www.mobits.org, email, info@mobits.org. Miami Times staff report | 6/12/2014, 9 a.m.
Amid sobs and tears, they march and even dance before they carry the casket of the deceased to their final resting place. As part of the service, they would break out in snazzy, choreographed dance routines to help lighten the mood among mourners. They are professional pallbearers, stylish men who help give a grand sendoff to loved ones during funerals. It's a growing trend in the funeral industry as consumers seek more creative and less traditional ways to celebrate their relative‘s life and legacy. This new service doesn't come cheap. Some charge as much as $1,400, or more, for the fancy perk. Others give it away for free, as a way to one-up the competition. John Houston, owner of the John B. Houston Funeral Home of New Jersey and New York, has been offering professional pallbearers since he attended Lena Horne’s funeral in 2010 and first saw professionals in action. “It’s show business,” Houston says of the service that seems to be catching on in the industry. So, his gym trainer helped him recruit other guys from their gym to lift caskets. “Over the period of five or six Saturdays,” he recalls, “We put together the technique.” Now it’s just about perfected, he says. Of 10 pallbearers he keeps on staff, eight are used per service, dressed impeccably in formal attire, bow ties and white gloves. Out of about 150 funerals he does a year, only five to 10, he says, request the extra service. “It correlates with the deceased’s position in life,” he says. People he calls “upper-echelon” want it. He recently had the family of a councilman in East Orange New Jersey request it. The white glove service, he says, blows people away, because they recognize it as demonstrating “the highest level of respect” for the deceased. The only further step a family could take, he says, is offering a 21-gun salute. In South Los Angeles, the Boyd Funeral Home also offers professional pallbearers, though it offers them at no extra charge as part of any funeral package, Candy Boyd, owner of the home, told the Los Angeles Times. A Los Angeles Times reporter who recently saw the pallbearers in action described them as immaculately dressed, wearing black top hats, tails, burnt-orange ties and vests, and white gloves. Their swinging, dancing movements, the Los Angeles Times says, are synchronized to gospel music and carefully choreographed by the team’s dedicated choreographer and drillmaster. 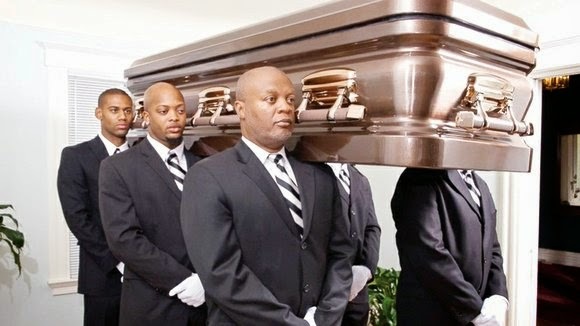 A YouTube video of the professional pallbearers is attracting new fans, but critics as well. Some say the new trend is too showy and even “disrespectful”. But the majority of viewers say they like the new service. Houston says some funeral homes catering to white customers offer professional pallbearers, but that the phenomenon in the South is more often aimed at Black customers. On my morning walk, I decided to Google a couple of funeral homes while walking. I opened my smartphone, went to my Google search bar and typed in the funeral home name. I tapped the map, another page came up with the location information and the reviews. “These people act like a bunch of thug gangsters who hold your loved one hostage. They are rude and very unfeeling and detached from a situation that they should be handling with care and concern, whether fake or genuine. They should be more professional and empathetic instead of the mantra i heard most in my dealing with them .... "pay us and then we can help you, pay us and you would know, pay us or nothing happens until then".... and if you decide to look elsewhere to bury your loved one they will say "pay us for storing him and then we will release him!!!" Wow. I wondered if the funeral home knew this is first thing people read when using Google to find their funeral home. My obvious question to you, funeral director, is this: Have you Googled your funeral home and read your reviews? These Google reviews are a part of your front door to the world. If I didn’t want someone I knew who needed a funeral home to use either of these funeral homes, all I would have to do is show them the review. AND IT DOESN’T REALLY MATTER IF THE REVIEW IS TRUE! IT ONLY MATTERS THAT IT’S THERE. It doesn’t matter if you do 50 cases a year or 500 cases a year. Your online reputation matters. There are ways to deal with this, the most effective way being is to get positive reviews posted. Another is give unhappy customers an “offline” place to post negative reviews. It’s hard to get more first calls if you simply decide to ignore your online Google reviews. Let us help.